Organic baby formula contains better ingredients than conventional baby formula. If you are looking to supplement or formula feed, the best place to start is with the best organic baby formula that you can afford. Breastfeeding provides the best nutrition and health benefits for babies and moms, but I also recognize that it doesn’t happen naturally or easily for everyone (or anyone?). It can also be painful and difficult during the first few weeks as you, your body, and your baby adjust; there are many times during those early days of breastfeeding where I personally questioned my decision to breastfeed. I faced engorgement and mastitis, and it was really painful. For many moms that are committed to the idea of breastfeeding, struggling to breastfeed or produce enough milk can be a big disappointment. I would encourage anyone having a hard time nursing to see a certified IBCLC lactation consultant for assistance. Seeing a lactation consultant in my early days of nursing was one of the best things I did when I was having trouble nursing. 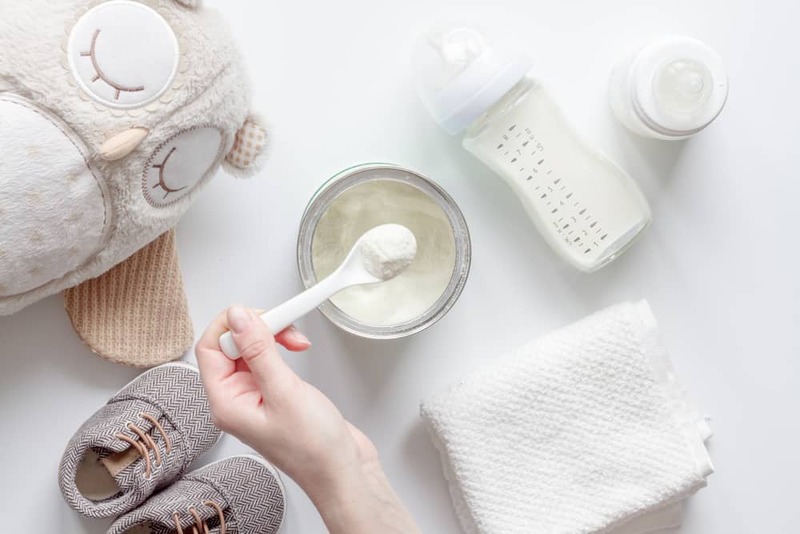 So, if breastfeeding isn’t an option, if you need to supplement with formula, or if you want to have some on hand just in case, how do you choose the best organic baby formula for your baby? That’s what this article will help you do. Should Breastfeeding Moms Buy Backup Formula? Where Can You Order European Baby Formula? How Do You Choose the Best Organic Baby Formula? What is the Best Organic Baby Formula? Some women avoid buying any formula before their baby is born, thinking that it might jinx or hinder their breastfeeding efforts (especially in those early days when nursing is extra painful and hard to adjust to), while others prefer to have at least a can of formula on hand. I can personally relate to both trains of thought, so I encourage you to figure out what works best for you and stick with that plan. I intentionally never bought any formula because I didn’t want to reach for it in a moment of exhaustion or weakness (and there were many of those moments during my first couple of weeks breastfeeding both babies). And, I can say with certainty that not having any formula on hand helped me stick to my goal of breastfeeding. I nursed my first baby until he was 2 years old (I thought for sure we’d stop at 12 months…) and it got much easier over time. But, I wonder what I would have done if I struggled to breastfeed. I know that I prefer European formulas, and they can take a few days to arrive by mail. So, maybe it would have been prudent to have one box on hand. It’s your choice, mama! You know yourself best. Would you be more committed to nursing if you didn’t have some on hand? Can you or your partner run out to the grocery store to pick up formula if needed? Or would you prefer to have some European formula available, just in case? 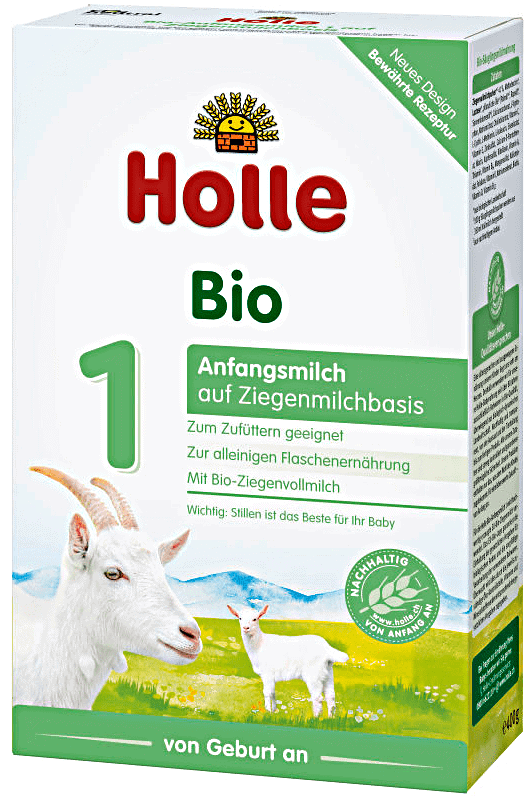 Some of the European brands of organic baby formula recommended below (like HiPP and Holle) are not available through mainstream stores like Amazon or Target, for the most part. While many parents have imported directly from Germany, I recommend shopping through a US-based store. The two I recommend are BabyKind Market and Organic Start. When I ordered some HiPP hypoallergenic formula, I shopped with Organic Start and had a great experience. They offer fast shipping, great customer service, and most important of all, none of their packages go through x-ray machines so you do not need to worry about radiation exposure. Once you have found your preferred brand of organic baby formula, Organic Start’s Wholesale program (for bulk orders) offers substantial savings. Use code GENTLENURSERY for 10% off with Organic Start. The same goes for BabyKind Market. They opt for manual inspections of all shipments to avoid radiation exposure. They also ship everything via air and have very strict quality control standards throughout the entire shipment process including temperature, humidity, and general handling. New customers can take $5 off with code GENTLENURSERY. Get your discount now. For more discounts and coupon codes, visit my Baby Deals page. If you decide to use formula, please know that there are no perfect options available. I would urge you to use one of the best European organic baby formula options if that’s within your budget because these contain better ingredients than most American brands of formula. What your baby consumes directly impacts their health and well-being, and sadly, traditional formula made by the likes of Enfamil, Gerber, and Similac, among others, contain harmful, unnecessary ingredients, including corn syrup, maltodextrin, and GMOs. Even some organic formulas are made with unnecessary ingredients that aren’t good for a baby’s developing digestive system, so please choose your baby’s brand of formula wisely and carefully. DIY baby formula: Another option is to make your own baby formula using this recipe from the Weston A Price Foundation or this recipe from Mt. Capra; discuss this with your pediatrician before making your own formula. Personally, I don’t trust myself to make my own baby formula, although I did consider it at one point. Camel milk: Famous for its natural healing properties, camel milk has also been used by some parents as a formula for their babies as young as 6 months of age. However, this is not endorsed by the American Academy of Pediatrics. Please check with your pediatrician before giving your baby camel milk. It also has healing properties and therefore it is recommended that you introduce it to your baby slowly, so as to minimize any potential reactions. Start at 1/4 tsp. and gradually work your way up from there. As we said above, there is no perfect option. But here are some of the best options currently available on the market. Please thoroughly review this list, weigh the pros and cons, and decide on the best formula for you. A detailed study of baby formula has been conducted by Charlotte Vallaeys, former Director of Farm and Food Policy at the Cornucopia Institute and now a Senior Analyst for the Consumer Safety and Sustainability Program at Consumers Union. Vallaeys details many of the ingredients you should avoid when choosing a brand of formula, some of which I’ve listed above. Her recommendation is that if you’re not interested in making your own infant formula, you could consider Holle Stage 1 Organic Baby Formula from Europe, although it still contains maltodextrin and palm oil. Anecdotally speaking, I have encountered many moms whose babies colic symptoms eased up when switching from an American formula to Holle. View the full list of ingredients here. Lebenswert Stage 1 Organic Milk Formula is another great option to consider; this brand does not contain any maltodextrin. It does, however, contain such vegetable oils as palm oil, rapeseed oil (canola), and sunflower oil. Lebenswert is gluten-free and suitable for use from birth and on. View the full list of ingredients here. Alternatively, I would consider HiPP Organic Stage 1 (Dutch version) or HiPP Organic Stage 1 (German version). HiPP is a European brand that ranks high up there in quality, as well, and it contains no gluten, maltodextrin, or soy lecithin. Check out the full list of ingredients here for the Dutch version (which comes in a tin) and here for the German version (which comes in a box like most other European baby formula). If you aren’t interested in a European formula, or find yourself in a pinch and need something you can order from Amazon, there’s Baby’s Only Organic formula. 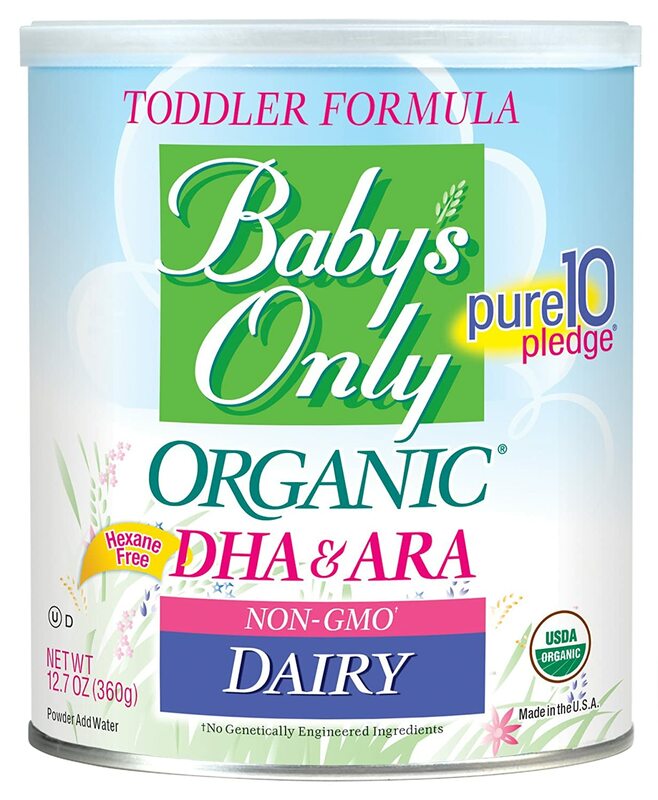 Baby’s Only is a non-gmo organic baby formula made in the US that does not contain palm oil or hexane-extracted DHA/ARA. 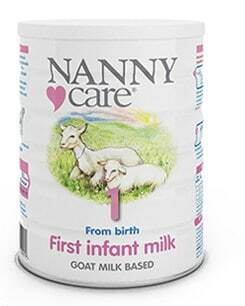 While dairy can cause inflammation in the body, goat’s milk is less allergenic and much more easily digested. (Fun fact: it’s also naturally homogenized.) However, please note that many (but not all) babies who are sensitive to cow’s milk proteins are also sensitive to the protein found in goat milk. 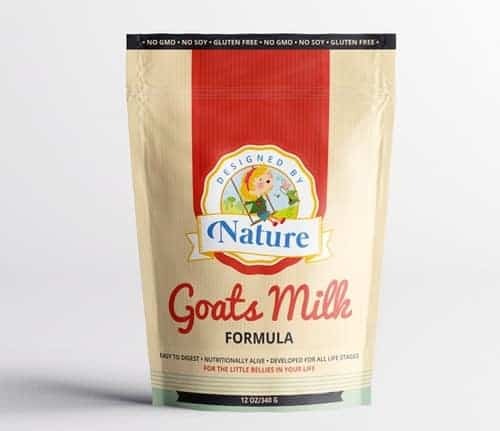 If you are looking to try a goat’s milk formula, consider Designed by Nature (partially organic). Designed by Nature’s formula contains no soy, corn, GMOs, artificial sweeteners, food dyes, or pesticides. It contains the important probiotic strain, B Infantis, and other carefully chosen ingredients such as coconut oil, olive oil, and cod liver oil. 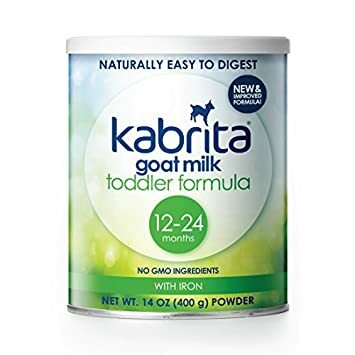 I would also look into Holle Goat Formula, Kabrita (non-organic), and Nanny Care (non-organic). If your baby has reflux, food allergies, eczema, or food sensitivities, you may want to consider a hypoallergenic baby formula. Talk to your pediatrician or gastroenterologist about whether this is best option for your baby. If you are looking for a safer brand of hypoallergenic baby formula, I would recommend HiPP Hypoallergenic Stage 1 Infant Formula (non-organic). This is made using hydrolyzed milk proteins, which should be easier for your baby to digest if they have a milk protein intolerance. When I was considering formula for my second baby, this is what I had ordered. However, if your baby still doesn’t tolerate HiPP’s European hypoallergenic formula, you may need to switch to an American hypoallergenic formula like Alimentum, Neocate, or Nutramigen. Your pediatrician or pediatric gastroenterologist can help you choose which formula to use. I know many babies who did much better on a hypoallergenic formula. (If you suspect that your baby might be sensitive to corn, I have heard that the Alimentum Ready-to-Feed version seems to be the most tolerated.) These brands are not organic. While there are no “perfect” formula options out there, I think there are a few good ones to consider. Did you find a baby formula that you’re comfortable with? Hopefully one of these options will work for you! I need to supplement one feeding at night with formula. I can only find the baby’s only organic formula in a ‘toddler formula’. Is there a form of this formula that is good for a 6 week old?